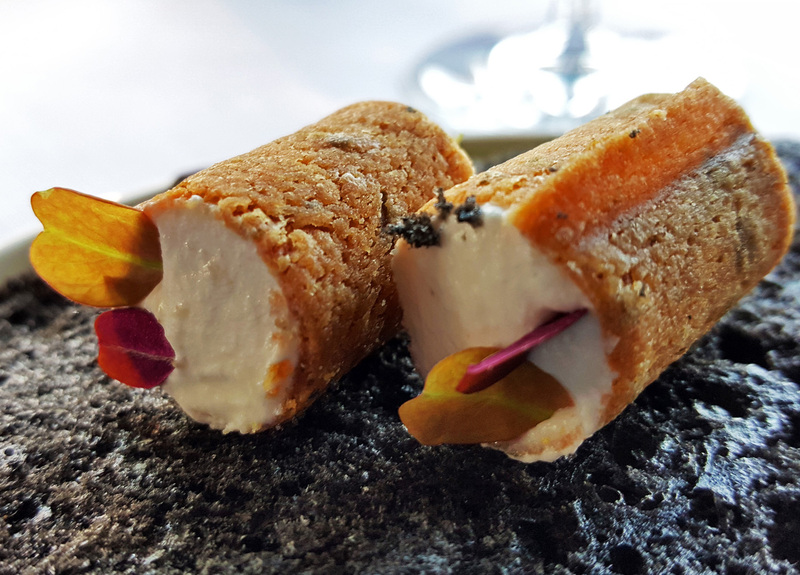 I won`t go into glorious detail about the current Parisian restaurant scene at the moment as it`s a whirlwind of jumping Toques that`s a seemingly impossible task to keep track upon. 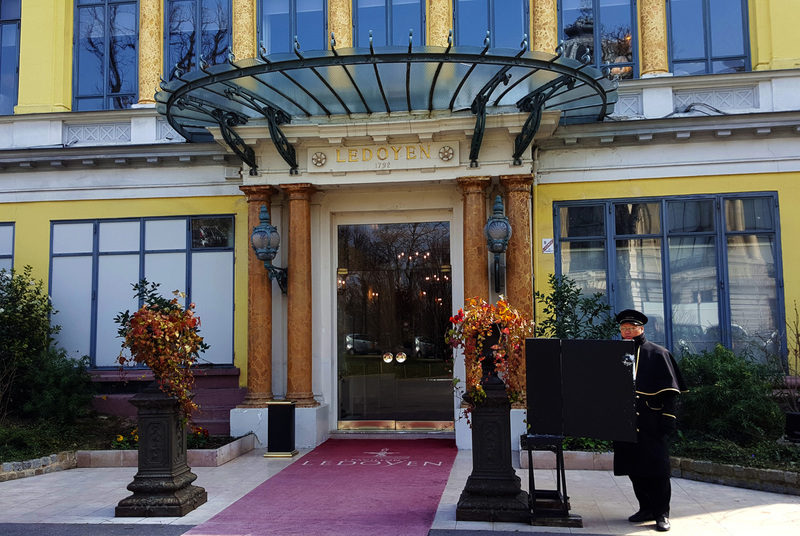 Today I`m eating at Le Pavilion Restaurant Ledoyen in Paris. Superchef Yannick Alleno is the current star of the show here and has been cooking here since 2014 with 3 Michelin stars. Joining me for lunch is my culinary obsessed foodgeek friend Fine dining explorer. 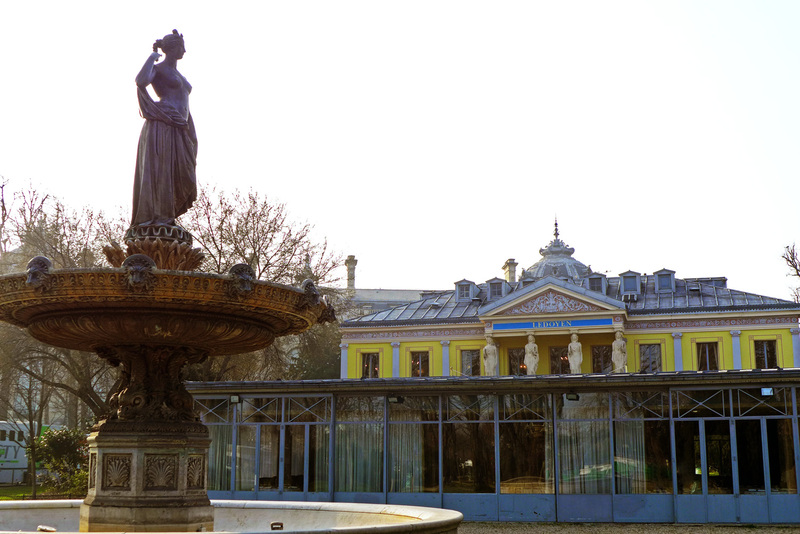 Situated just off the Champs Elysees , the restaurant was built in 1792 and has survived quite a few battles including the French Revolution and 2 World wars….. quite a story to tell. Anyways , it`s not a history lesson when we`re here for the food so here`s what there is on offer at Ledoyen. There`s the Set 4 course Lunch priced at €135 (£106) . The 7 course Tasting menu for €295 (£232). Or you can go for the ALC and 3 courses will cost you approximately €200 (£158) on average. We turned up pretty early and headed straight to our table to study the menus. Service was very attentive albeit a bit too rushed but we just conducted things at our own pace and it slowed down from there .Restaurant Director Frederic Pedrono was a `diners gift` during our lunch. So informative and entertaining with his funny tales and kitchen gossip from the industry. It means so much to have good service during a meal and this guy is at the top of his trade , totally loyal to Ledoyen and such a valuable asset to the company. So much for the legendary `rude and pompous` reputation these guys have. Frederic was all smiles , jokes and a credit to the front of house trade. So on we go to the nibbles. To start us off a little cup of warm Onion consommé topped with a Crispy biscuit and a sliver of melted Cheese. Ledoyens version of the classic. Soupe a l` Oignon. In the background , Chestnut Marshmallows. 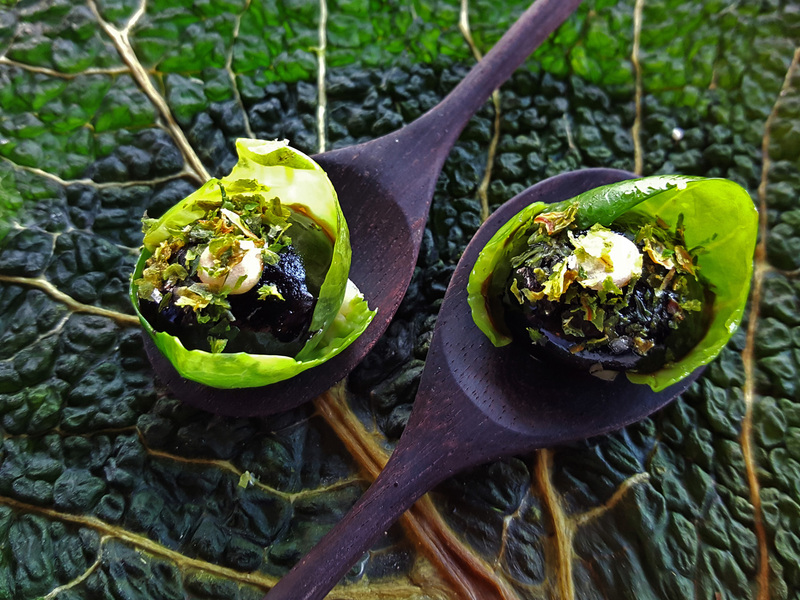 Cabbage jellies on a non edible dried Cabbage leaf. Cream Cheese Seaweed rolls with Eel jelly scented with Lemon. 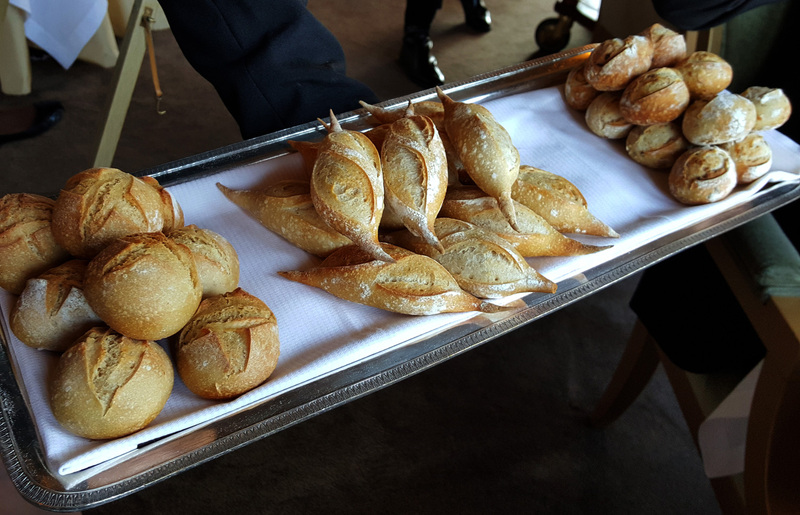 A basic very well baked selection of Bread arrived consisting of Cereal , Spelt and white Baguette. In the interests of research it`s always best to try them all. 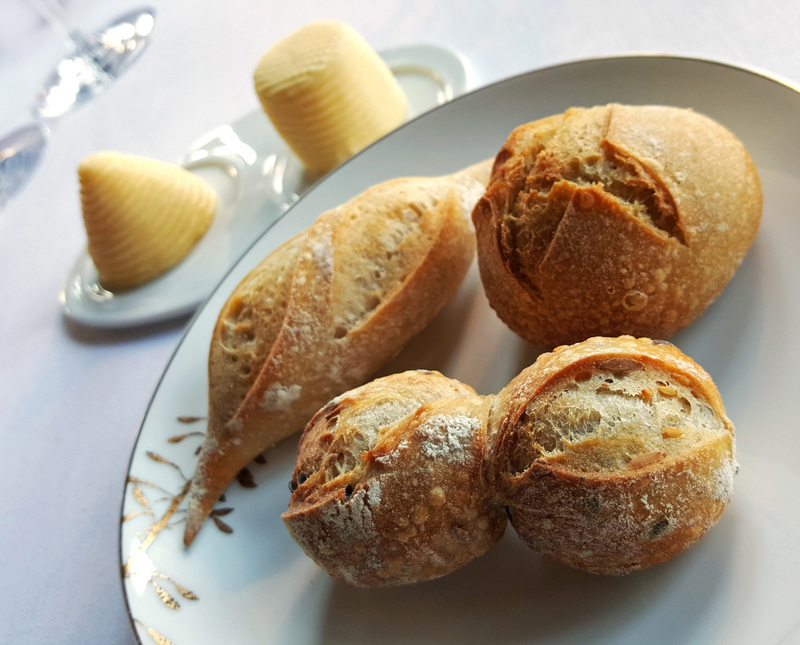 We decided to choose the Set 4 course lunch simply to see what a 135 Euro meal would consist of in a top Parisian restaurant and put together by legendary Chef Yannick Alenno. Normally I can go and eat in a major city high end restaurant , choose the “set lunch” option and I know what to expect. A fairly decent well cooked meal using fresh but low budget ingredients .Obviously a business needs to make money and so this reflects in the food accordingly. But surely by paying €135 ( £106 ) for 4 courses in a 3 Michelin starred restaurant we would get a true reflection of Chefs cuisine ? Read on….. The first course arrived and we both stared in silence. What made this Avocado a 3 starred one ? Simple answer , it had been hanging on the tree for 18 months. …….Ermmmm ok. 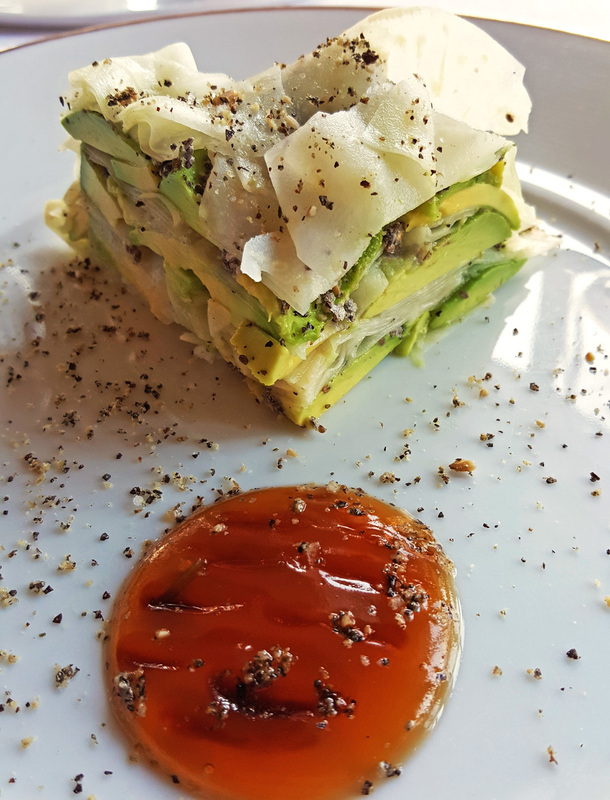 The Avocado was layered with thin slices of Celeriac which were marinated in fermented Carrot juice and scattered with crushed Chia seeds. I ate the Avocado slowly and attempted to work out what difference 18 months ripening on the tree can make. To be totally honest here it was no different to the one I bought a week later at Aldi for 80p…maybe it was ever so slightly creamier. 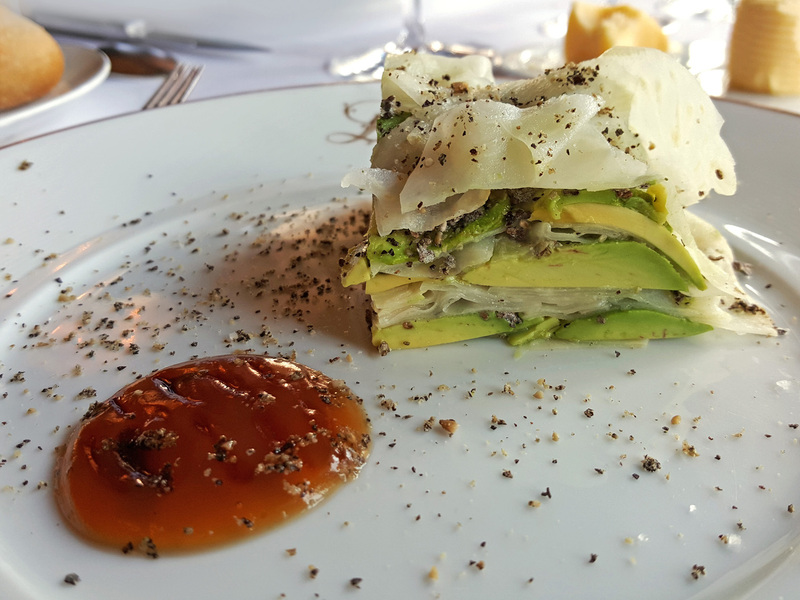 The sauce to accompany the `Avocado pie` was a Turnip , Mushroom and Soy Syrup. 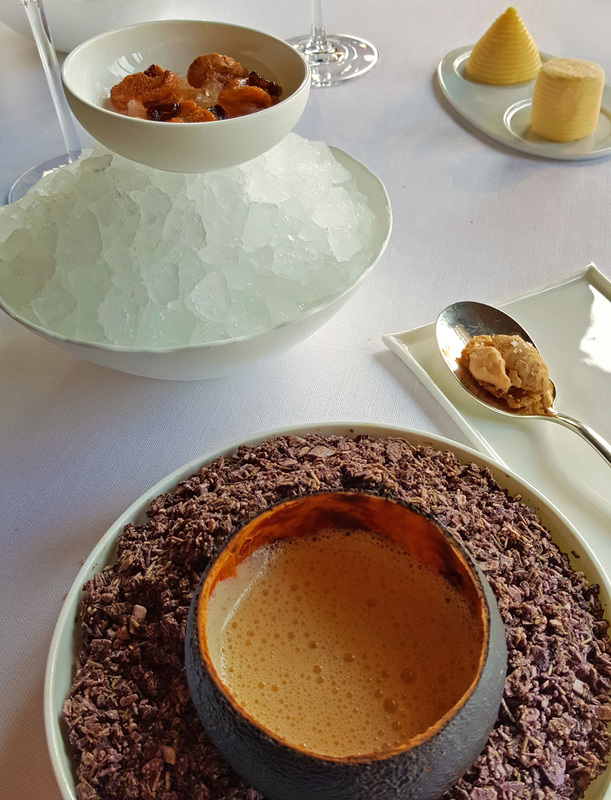 Was it a grand start to a 3 star Michelin experience ? I`m afraid not. This dish on the a la carte menu was €36 ( £28 ) The true cost of the ingredients would be ? 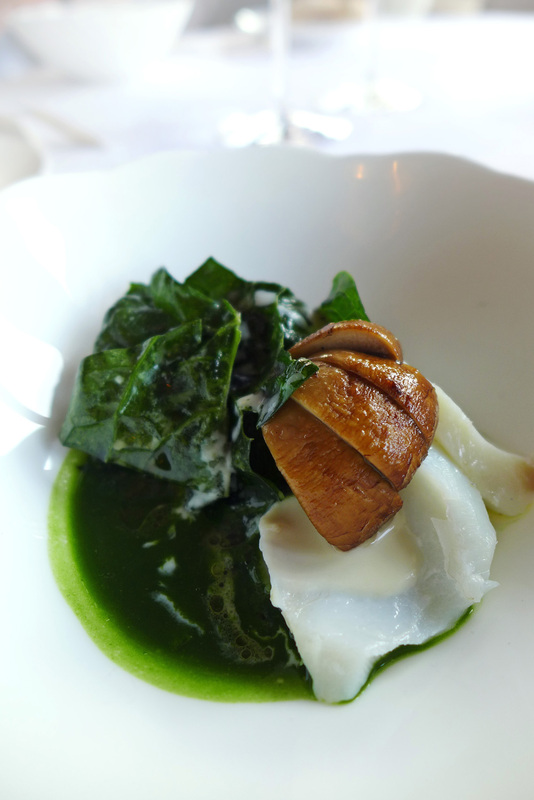 Next was the Fish course – Cod with wilted Spinach and Paris Brown Mushrooms ….Ooops, sorry , Mushroom. I looked around to see if we were being filmed for `Candid Camera` at this point. Now please someone correct me if I`m speaking out of line here ( just give me a bollocking in the comments ). Here we are in a Parisian 3 Michelin starred restaurant , up there with the best restaurants in the “World”. 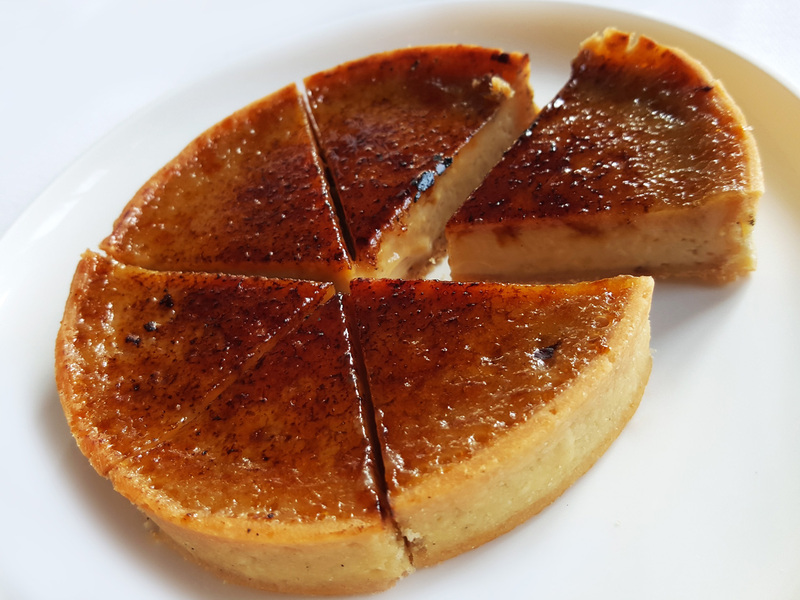 We have a classically trained Masterchef with decades of experience heading up a full kitchen brigade of highly trained perfectionist Chefs from all over the World…..and this turns up. Come on guys . 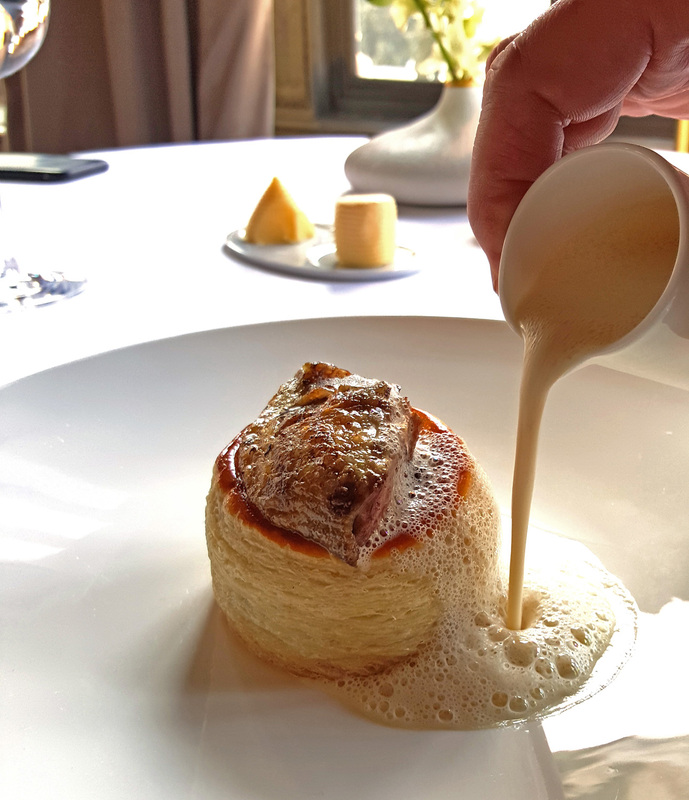 So to describe the dish , we have a Michelin 3 starred Fish course consisting of Wilted Spinach , `2` flakes of Cod and one sliced Paris Brown Mushroom with Nutmeg and melted Cheese. Anyone with a minimal amount of cooking skill would be able to replicate this dish exactly at home. As for the costing of this , I won`t be cheeky but work it out for yourselves. The Cod dish was on the ALC menu as a main course option for €84( £66 ). 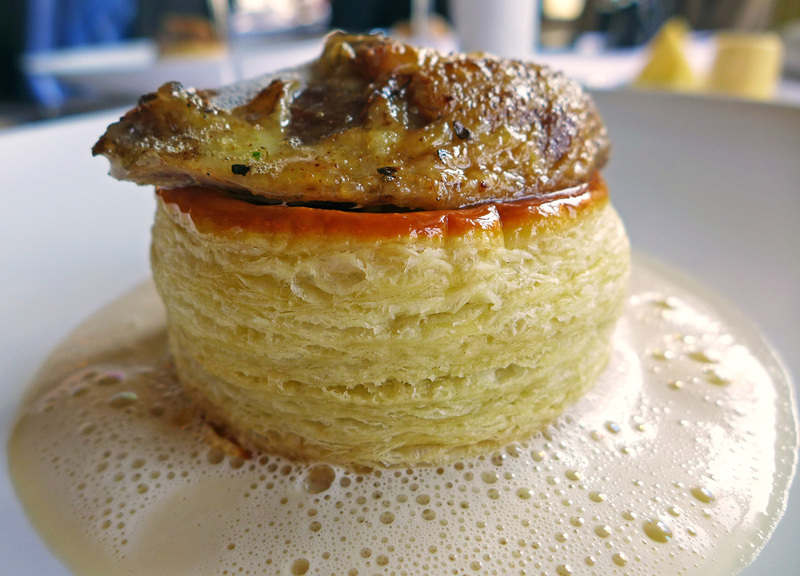 Next up was our main course , Quail Vol-au-vent. 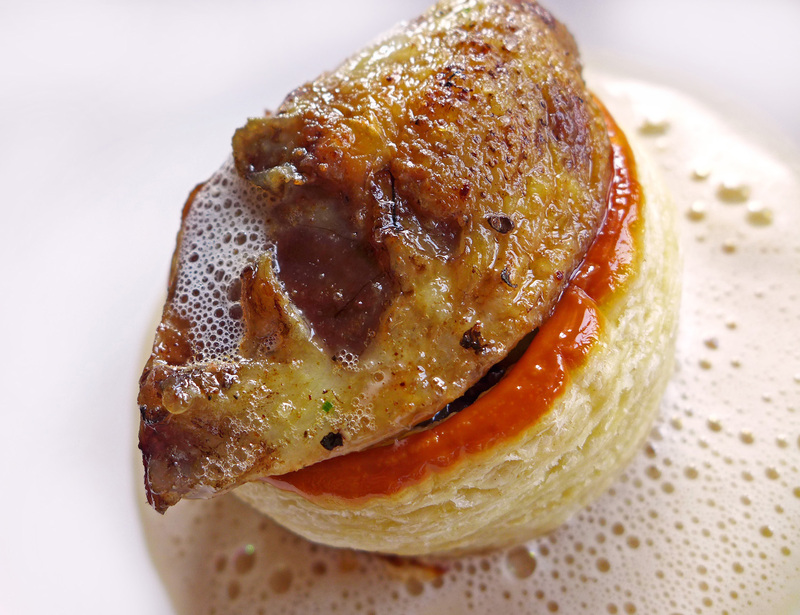 A perfectly cooked breast of Quail sitting on a piece of Puff Pastry perfection. In all honesty I`ve never seen a more amazing Pastry case anywhere ever. Inside the case was a Tomato paste / reduction with Garlicky Mushrooms and served with a basic Cream sauce. As for any sides or Veg …..Nope , that was it. What you see is what we got. Time for more Bread. The final course of the set lunch was this sweet treat. 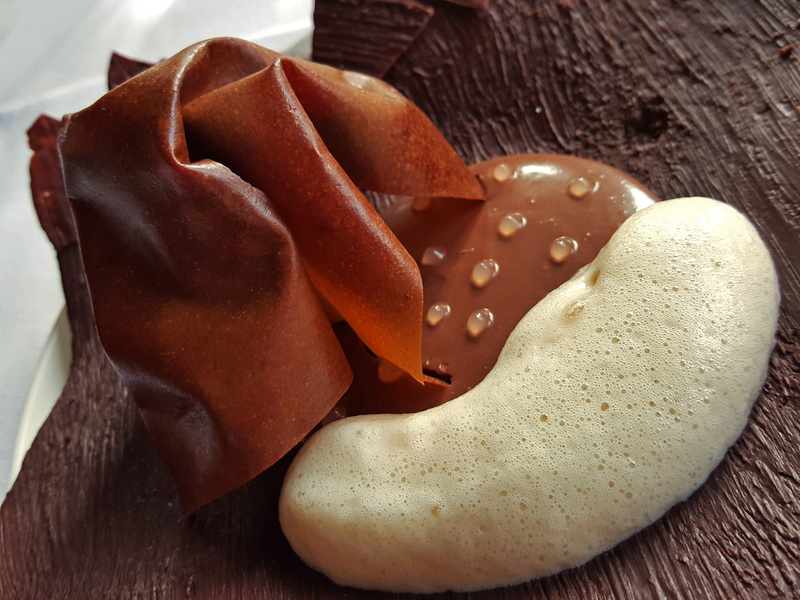 Rolls of Chocolate Tuile , Baked Pineapple cube in Almond paste and a shot of Cocoa Bean water. Vanilla bean and Pear Sorbet came as a side. 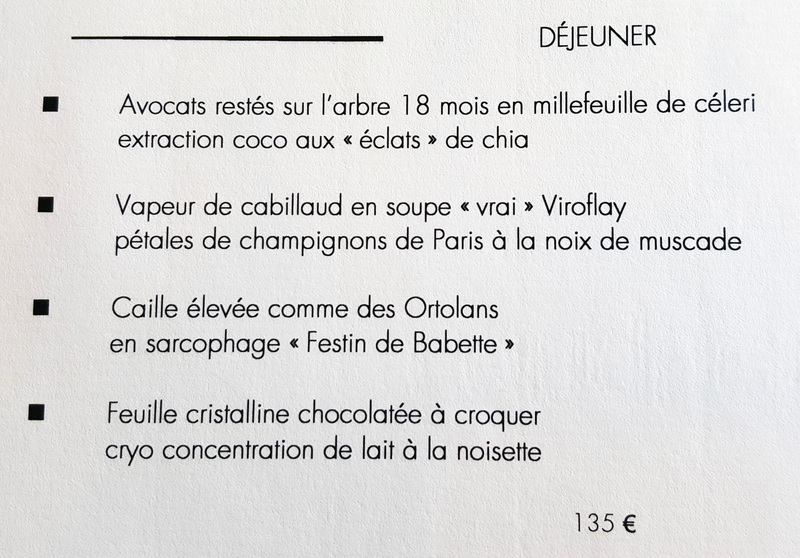 So there you have it folks , the set €135 lunch at 3 Michelin star Ledoyen. Not the best option to choose when you come here and certainly in no way is it a true reflection of what Chef and the kitchen team can produce. To get a true taste of Ledoyen you have to go ALC and then you`re talking big bucks ( as you would expect in a Parisian 3 star ). Another option would be the 7 course Tasting menu at €295 ( £232 ) which would hurt a lot of pockets. 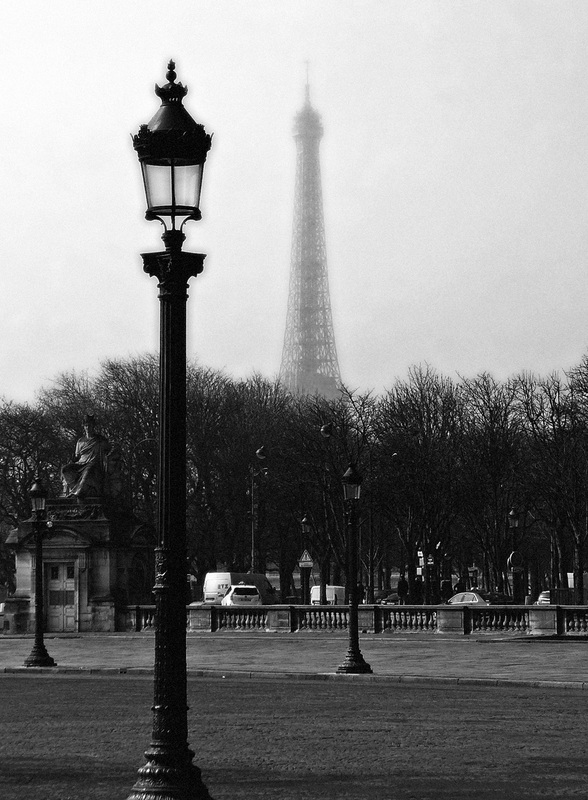 It` a shame really because there will be a lot of people out there coming to Paris on holiday and during that time having one special meal. If they choose the Ledoyen set lunch as that meal then I guess they`ll be mighty disappointed. As I said above , to get a true reflection of what the team can do then you need to choose the ALC option. 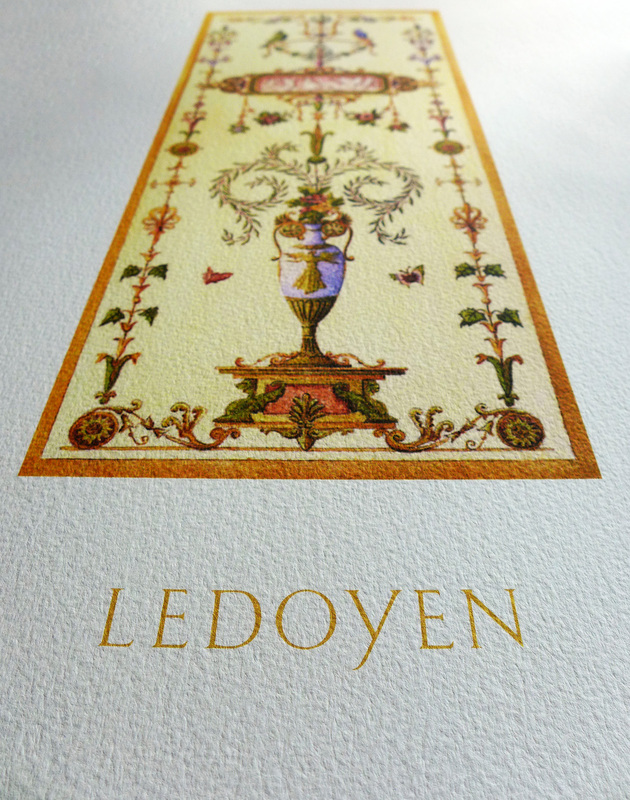 It`s very costly but you will actually experience the plates of food that keep Ledoyen running on a 3 Michelin star level. These dishes take the whole restaurant experience from the bottom of the ladder to the top , a whole new world of cuisine…..Amazing cuisine. We started with this extremely interesting combination of 3 very different and very unique flavour combinations. €65 off the ALC menu. Actually I still can`t think what this part of the dish was all about. What was Chef thinking here ? 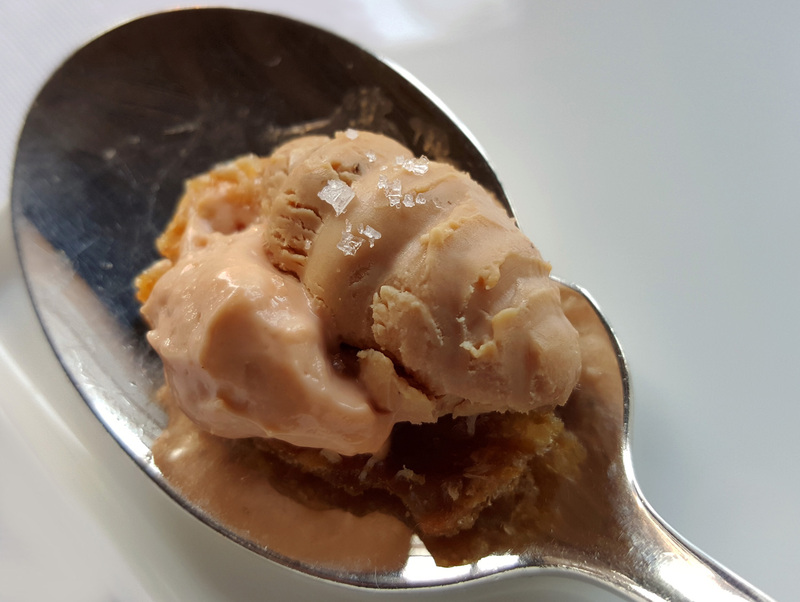 It`s a spoonful of Foie Gras on a bit of crispy Duck skin. That`s exactly how it was presented. Tell me I`m wrong here but does the combination work ? 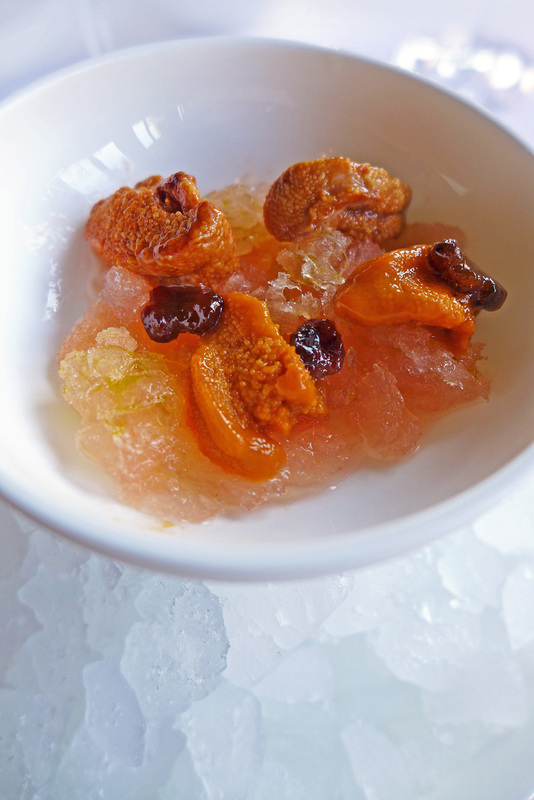 Foie , Duck skin , Urchins and Grapefruit ? Maybe I`m out of touch with the food world. This part was sublime , very different and a first for me. 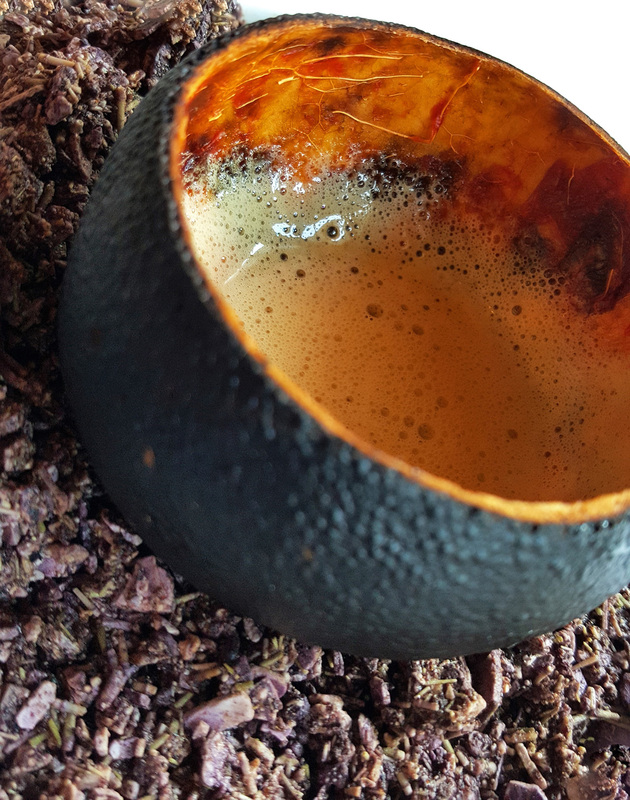 It was a warm ,creamy Sea Urchin Veloute served in a dehydrated and burnt Grapefruit shell. The idea was to pick the Grapefruit up and actually drink the soup from it. WOW….it was wonderful. The aromas of the burnt and roasted Grapefruit skin as I sipped the warm sea scented Soup were heavenly. Top marks to Chef for this one. 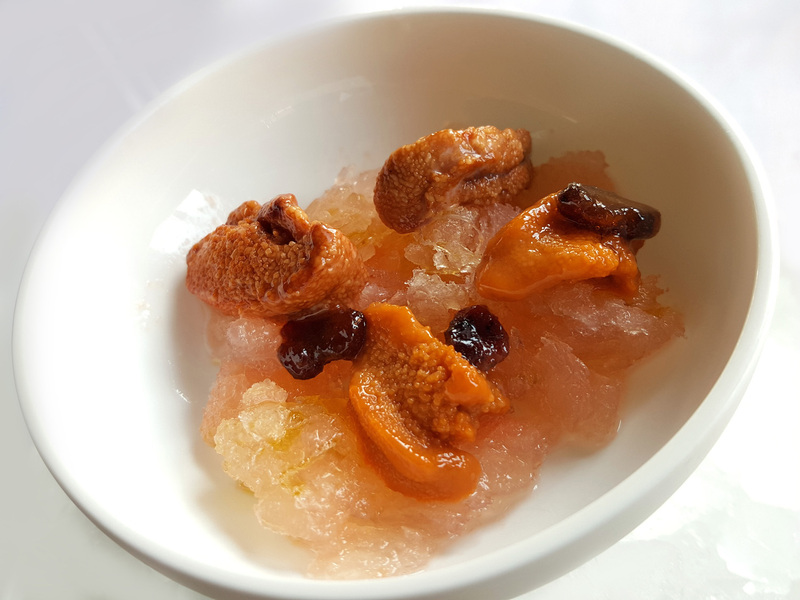 To accompany the Urchin Veloute we had this little delicacy sitting chilled on a bowl of ice. Fresh Spanish Sea Urchins on a Grapefruit Granite and if I remember correctly then I`m sure the little dark pieces were Caramelised Urchin. Fresh , Creamy Sweet and Sour….A superb dish to go with the Roasted Grapefruit. As for the Foie Gras and Duck fat…..Hmmmmmnnnnn. As an ALC main course and one of the `star` dishes of Restaurant Ledoyen we both had a sample of this superb Beef. Grade 4 Japanese Wagyu priced at a staggering €150 ( £118 )… Scary. As expected it was cooked very precisely , cut with total ease and was full of fatty rich flavours which were a delight to eat. It was accompanied by a tiny piece of Smoked Eel , Little crispy Rice cakes and more Spanish Sea Urchin. Served on the side was a beautiful Celeriac Puree scented with Hay Butter. All in all….Perfection on a plate. We also sampled a dessert from the ALC menu ( €30 / £ 23 ). As you can see there`s not a lot to this creation and it was totally gone in seconds. 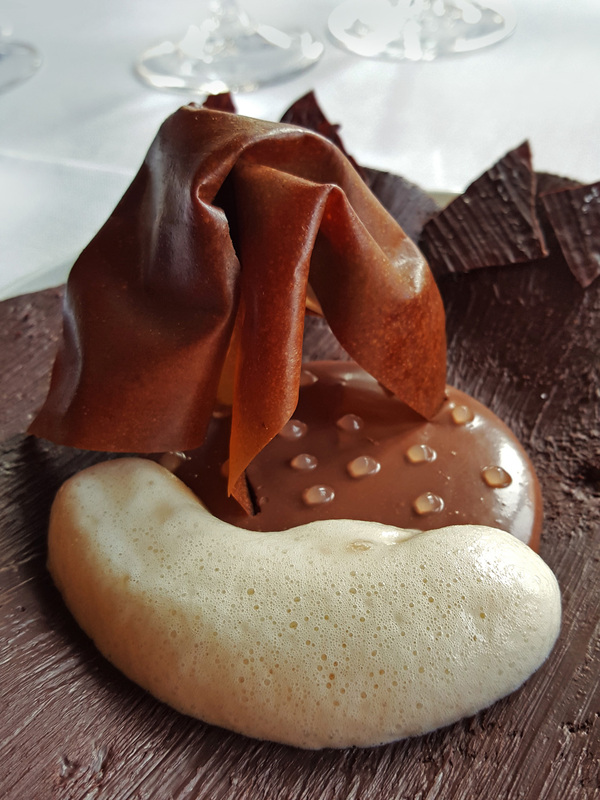 Crystallised Chocolate Leaf with Milk and Hazelnut Mousse. 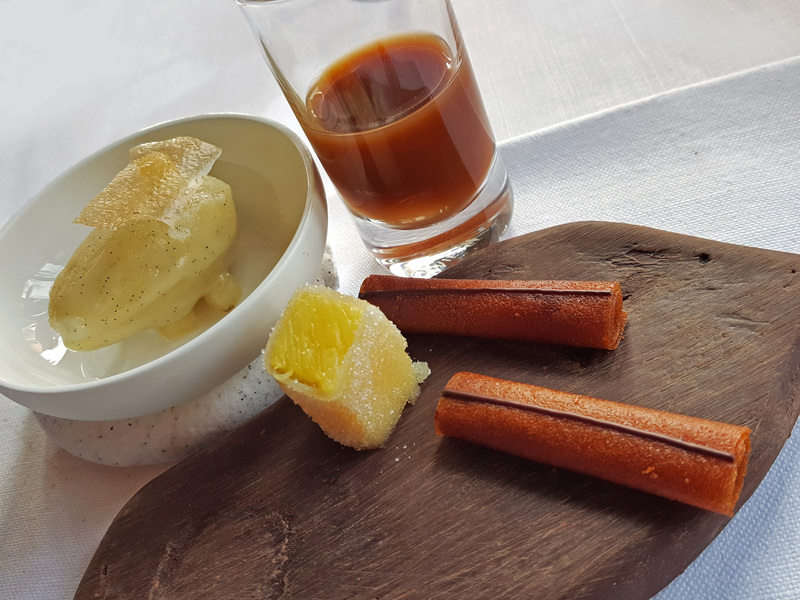 Tiny droplets of Lemon Gel gave a slight tang to the overall sweetness of this dessert and apart from that….that`s it. What looks like a nice slab of Chocolate base wasn`t actually edible .However a couple of carefully disguised slivers of Chocolate on the side of the dish were. 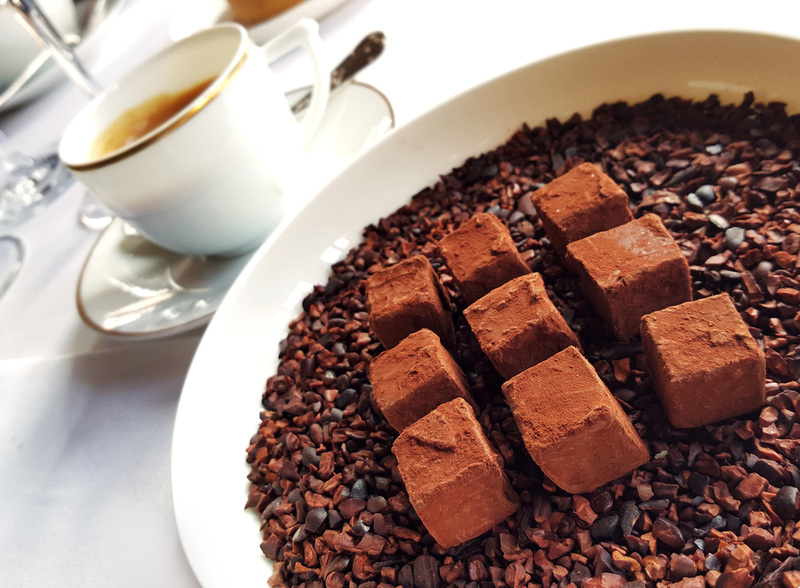 A barely set creamy White Chocolate and Guinness Tart arrived with some cubes of Chocolate Ganache as our little sweet treat with Coffee €12 and Mint infusion ( Water and Mint leaves ) €14. There was quite a lot to get through after our meal but that never posed a problem. It was all gone within minutes laying a firm bed for the disastrous dinner at Chez l`Ami Louis that would follow a few hours later. Previous Post The Water Library , Bangkok. I can’t think of anything more dissappointing than recieving something so plain at such a renowned restaurant! (I’ve had dreams of finally making it to the Fat Duck and getting served beans on toast). 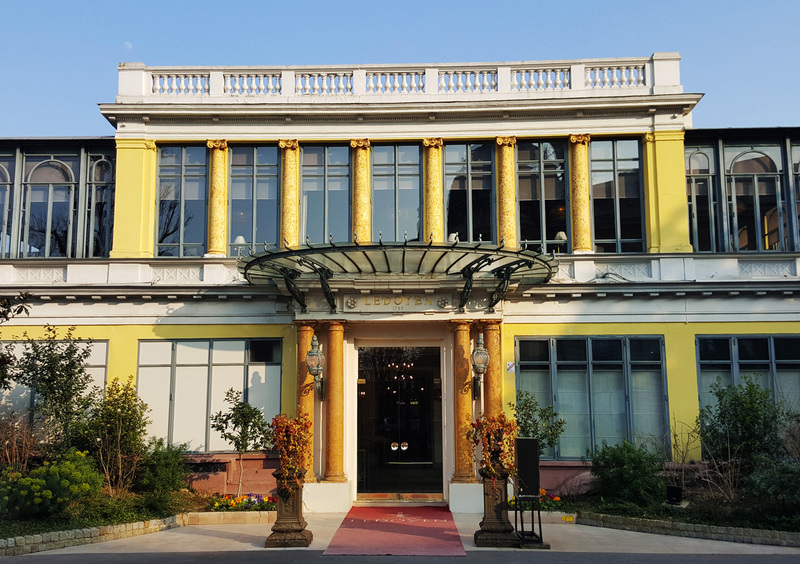 Hope you will write up your Chez l`Ami Louis experience! L’ami louis Next for the chopping block ha ha.